Our master website is Sfax. 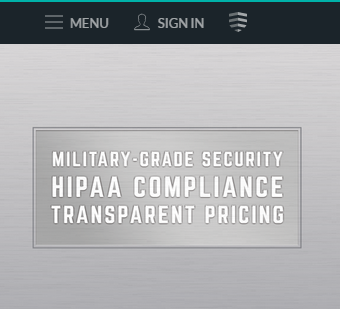 From this webpage you should be able to find the Sign In option at the top right hand corner. 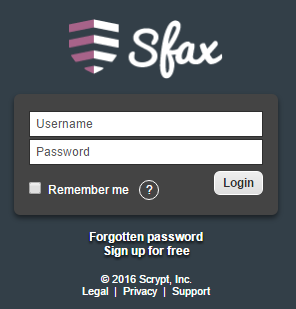 Clicking the Sign In option at the bottom left will bring you to the updated login page for Sfax. 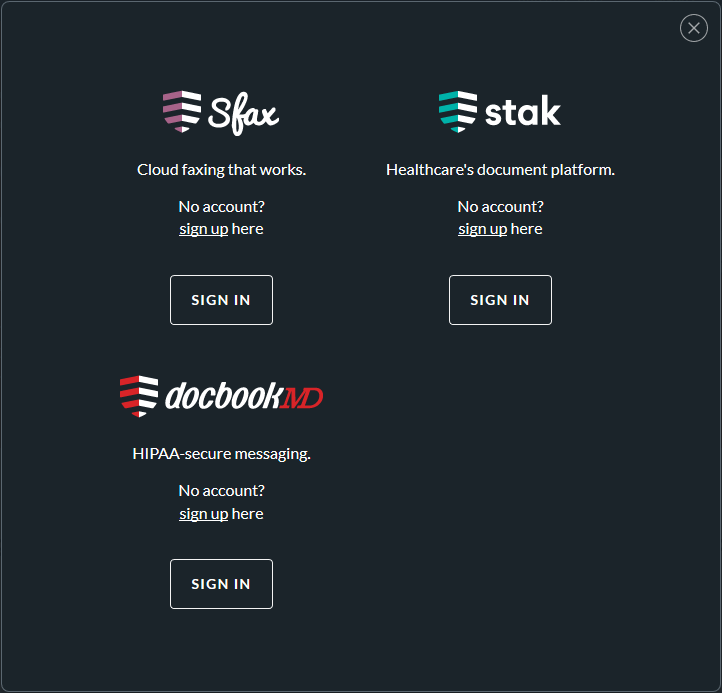 The webpage is the same (https://app.sfaxme.com/appLogin.aspx), so your bookmarks and favorites should still work. If you are still having issues, please reach out to us at support@sfax.j2.com or by phone at 1-877-493-1015 for Support.